Solihull Tourism Forum has appointed a new Chair and Vice Chair to help raise the borough’s profile and awareness of what it has to offer visitors. Supported by Solihull Council the Solihull Tourism Forum is a group of businesses and stakeholders with an interest in the local visitor economy and is made up of local hotels, restaurants, retailers, attractions, Birmingham Airport and the NEC. 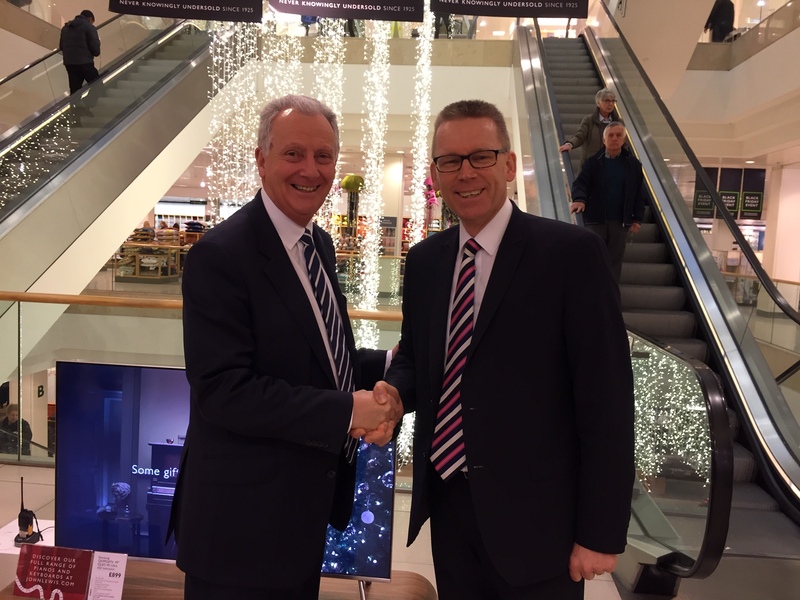 The group has welcomed Robert Elliot, General Manager from Hogarths as its new Chair along with Tim Rudman from Resorts World as its Vice Chair. Under its new leadership team the Solihull Tourism Forum will be tasked with setting to work on a new action-plan to drive the local visitor economy in and around Solihull. Solihull Tourism Forum is already focussing on a number of key projects including working with students at Solihull College and digital training start-up ‘Digital Innov8ors’ to look at ways of engaging with younger audiences and attracting them to the region. Another key focus of the Tourism Forum is to look at ways of boosting Solihull’s reputation and profile as an international destination for both business and leisure. Recent figures from a ‘Visit Britain’ passenger survey show that international travel and tourism is booming across the region, with a 28% increase in passenger volume recorded at Birmingham International last year compared to 2016. The Tourism Forum recently hosted a delegation from Solihull’s sister city, Changzhou, which looked at improving links between the two towns. “We are delighted to have Robert and Tim on board. They both have extensive hands-on experience, working locally in hospitality and tourism, and really understand the challenges and opportunities facing the sector here in Solihull. “They are taking the helm at a really exciting time for the local visitor economy and I am confident that they have the expertise and knowhow to make a real success of it.